Stuk2011.13.48 - Pile driver working on Government Wharf, Stewart, B.C. 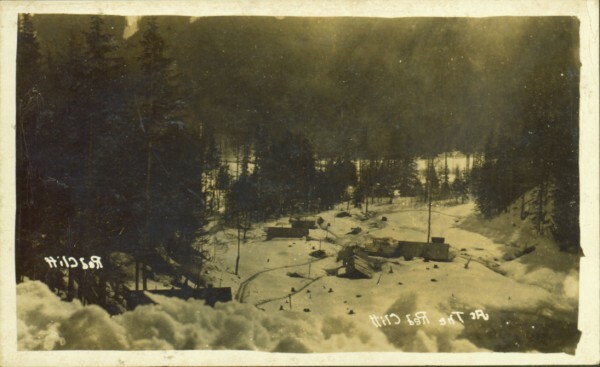 Photograph of several log buildings and mining equipment in winter. Printer annotation on recto is mirrored and reads: "At The Red Cliff Red Cliff."